Lakeland Assault Crime Defense Attorney - Lawyer, Providing Professional Assault Criminal Defense Attorney legal services for Lakeland, Winter Haven, Bartow, Polk County, and the surrounding Central Florida area. Call 863.660.2185 to Speak with Lakeland Assault Criminal Defense Attorney / Lawyer, Joshua E. Schoen. A criminal "assault" is an intentional, unlawful threat by word or act to do violence to another, coupled with an apparent ability to do so, and performing an act which creates a well-founded fear in another person that such violence is imminent. This is also commonly referred to a "simple assault", which is a misdemeanor of the second degree, punishable by up to a $500 fine, sixty (60) days jail and/or 6 months probation. If a deadly weapon is used in the commission of the assault, without the intent to kill, or is used in the commission of a felony act, it is considered Aggravated Assault, which is a felony of the third degree, punishable by up to a $5,000 fine, five (5) years prison and/or probation. Law Office of Joshua E. Schoen, P.A., represents the legal rights and goals of those involved in criminal assault defense or other criminal defense issues or disputes in Lakeland, Winter Haven, Bartow, and the entire Polk County Florida area. 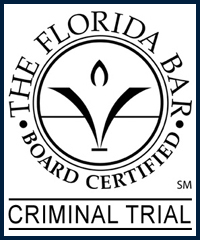 For a confidential legal consultation, please call 863.660.2185. Because Assault charges are crimes against the public and their safety, assault charges are prosecuted in a more aggressive manner than other misdemeanor crime charges such as prostitution, solicitation, or disorderly conduct. Other misdemeanor or felony crimes which may relate to the incident for which you were arrested for. A simple assault conviction can only be accomplished if the prosecution can prove intent; and due to the subjective nature of the alleged assault victim's perception of what they believed was a clear and present danger. because of these variables, in order to strengthen their case against you or force you to take a plea deal, law enforcement and prosecutors may choose to look for any evidence which may allow them to add charges to the indictment, or seek a felony assault over a misdemeanor assault charge. Protect your rights by seeking the legal advice and representation of an experienced Lakeland Assault Criminal Defense Attorney / Lawyer. Contact Lakeland Assault Criminal Defense Attorney / Lawyer Joshua E. Schoen at 863.660.2185 in the Lakeland, Winter Haven, Bartow, Polk County, and the surrounding Central Florida area.